View and download book, and watch an informative eight minute video. 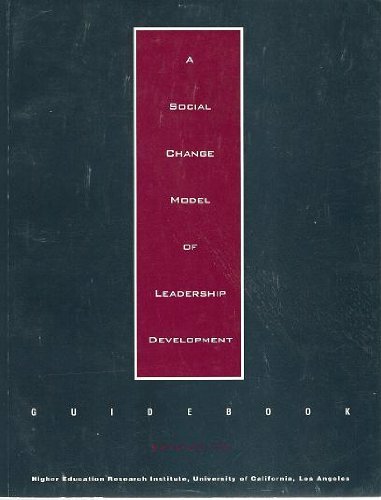 HOBY International bases all of its seminar programs on the “Social Change Model of Leadership” developed by the Higher Education Research Institute at the University of California (UCLA), and published by Alexander and Helen Astin in 1996. While the fundamental model remains intact, the presentation has been adapted by countless universities and academic institutions worldwide. HOBY has developed a curriculum to meet specific needs of high school students. HOBY continues to adapt its programs to a changing world, and for students eager to take more responsibility in their schools, communities, society, and the world. For these reasons, HOBY Alumni are better prepared for life after high school. The opportunities available to HOBY graduates is infinitely greater as they begin prepare for college. They are actively recruited by distinguished colleges and service organizations, and are more likely to receive scholarships and grants. Our HOBY College Aid Planning (CAP) program exists to support parents and students in exploring all of the possibilities. 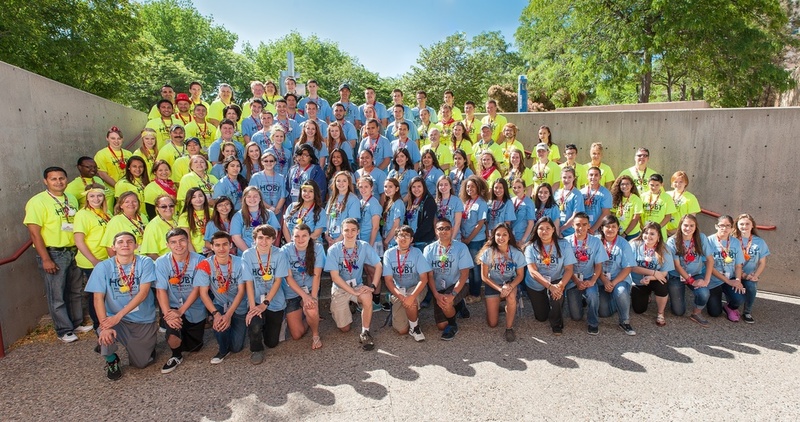 HOBY’s introductory one-day program for high school freshmen. A typical CLeW is six to ten hours long, with 50-100 freshmen participants, and focuses on leadership as a discipline to be explored and learned. HOBY CLeW students interact with local community leaders, participate in group activities, and conduct community service projects. CLeWs are organized, developed, and implemented by local business leaders, civic groups, volunteers, and HOBY alumni. HOBY's flagship program allows high school sophomores to recognize their leadership talents and apply them in becoming effective, ethical leaders in their home, school, workplace, and community. Students attend three- or four-day seminars and participate in hands-on leadership activities, meet leaders in their state, and explore their own personal leadership skills while learning how to make a positive impact in their community. The seminar curriculum is based on the Social Change Model of Leadership and develops leadership from three perspectives: Personal Leadership, Group Leadership, and Leadership for Society. HOBY Leadership for Service (L4S) is designed to prepare young people for volunteer opportunities in their communities, and to encourage local service organizations to provide opportunities for young people to develop leadership skills. Following their participation in a HOBY CLeW, Leadership Seminar, WLC, or ALA, alumni are encouraged to continue logging their community service and volunteer hours in their HOBY L4S Logs online. Their L4S log should be provided with college, scholarship, internship, and job applications. Juniors and seniors are eligible to apply for the HOBY L4S Challenge Award and the President’s Volunteer Service Award scholarships. A college education is the next step for many HOBY Alumni. Since 1989, college costs have risen over 400%, putting that dream out of reach for many graduates. The cost of a 4-year degree averages between $25k–$60k per year, making financial aid a necessity for most families. The Department of Education says that 91% of all financial aid forms submitted have at least one mistake on them, which can disqualify an applicant from consideration. This could mean the loss of thousands of dollars annually and be the difference between going to the school of your choice, or settling for another college/ university—or not attending college at all. HOBY’s CAP program provides assistance to families and Ambassadors through the college financial aid process. In partnership with Premier College Guidance, we will take you through the web of financial aid process, ensuring the necessary forms are completed in a timely and accurate manner. Empowering students around the globe. To learn about and experience other cultures, the International Tours Program takes high school and college students from across the country on an eight or nine-day tour to some of the world’s most exciting and historic destinations. This program, operated by HOBY staff and HOBY trained chaperones, includes guided tours by professional tour directors, practical travel lessons, international service experience, and foreign language introduction. HOBY Alumni, siblings, and friends are invited to participate in this program. We are all part of a global community. Today’s youth will be identifying and resolving the global issues their generation will face. Currently, HOBY offers students the opportunity to travel and learn through our International Tour Program as well as providing students from a variety of countries the opportunity to attend HOBY programs from our international affiliates. Spend 12 days discovering historic locations you’ve only read about, and participate in a two-day leadership conference at The Hague. Learn firsthand why The Hague is known as the “City of International Peace and Justice. Meet many other US HOBY Alum and forge lifelong friendships!